This post contains spoilers for Mad Max: Fury Road, and The Avengers: Age of Ultron. So many people have written about Mad Max: Fury Road that I almost feel stupid doing it at this point. I'm not sure I have much new to add to the collective conversation. But as this is very much in The Ladies' wheelhouse, it feels like I should at least try. Quick Movie Summary: This is the 4th installment in the post apocalyptic series that follows Max Rockatansky (Tom Hardy), the Road Warrior. Max wanders a post apocalyptic wasteland where gasoline and water are the hottest commodities. 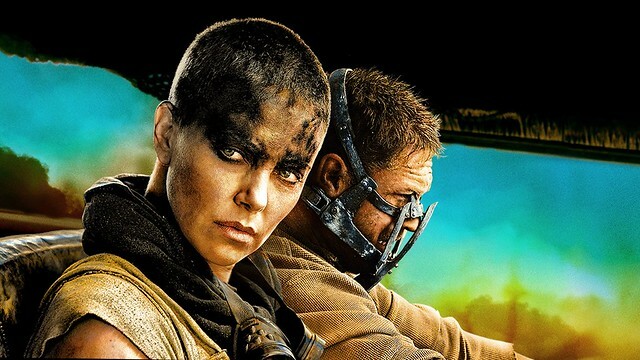 In this installment he encounters a crazed warlord and a woman (Imperator Furiosa - Charlize Theron) looking for redemption and the home she was stolen from. When the credits started to roll after my first viewing of the film, I found myself breathless. This wasn't just from the action sequences, but because I had just seen something important to me. Important for present Tiny Doom and past Tiny doom. When I was a little(r) Tiny Doom, I cultivated my love for action, sci-fi, and fantasy movies, but I don’t recall ever really finding a female character that reached me. I watched Indiana Jones, and Marion was cool but I still wanted to be Indy. In Willow, Sorsha was fierce, but I wanted to be Mad Mardigan (I also spent a lot of time wandering the woods in our backyard searching for the perfect branch/twisty wand). 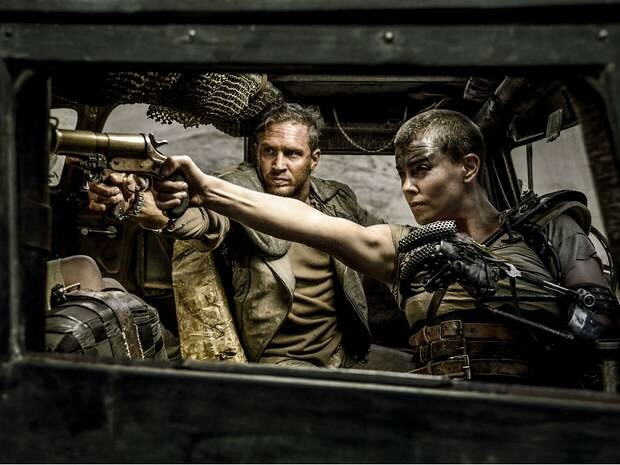 But when I saw Fury Road, things clicked into place and there was no question that I wanted to be Furiosa. While Max is obviously the title character for this film, it's Furiosa's story we watch unfold. She is strong, brave, compassionate, and resilient. And she was in charge! The first interactions we see with Furiosa establish her in an earned position of power. In this she is well established as her own character before she and Max even meet. Additionally, there isn't anything about Furiosa's journey that is ultimately about Max (take note Joss Whedon). In fact, Max’s role seems to be more useful accessory, dependable and capable. He becomes an ally, but it's still her story that is being told, and he bears witness. I guess this is why those MRA dudes lost their mind. Fury Road also addressed what for me is a complicated theme, Motherhood. I don't have kids. I'm probably not going to have any. This is a choice I understand about myself and have been comfortable with since my 20's, and now that I am closer to 40 I remain comfortable with knowing this has been the right choice for me. I was lucky enough to find a partner who agreed. As anyone who has also made this choice knows, it's often much tougher for other people to understand and accept. People are still saying to me "well, when you have kids..." It's also a choice that comes with lots of preconceived notions. People assume I hate kids (nope), some even think I can't understand basic concepts of love, or fear, or pride (I’d like to think I have those down). Having kids is important to many many women (and men), and for some people it is how they define themselves. But it seems that in response to the outcry for more female characters in mainstream media, issues around traditional motherhood, or even the ability to have kids or not, has become a shortcut to character development. Even in the most recent Avengers movie - a big piece of the character development for the Black Widow is that she chose to undergo a sterilization process as the final stage of her spy training, to make things less complicated (I am assuming this means emotionally, and not, you know, birth control). In discussing, or should I say confessing, this to burgeoning love interest Bruce Banner, she asks him "Who's the monster now?" Ugh, just freakin’ stop. 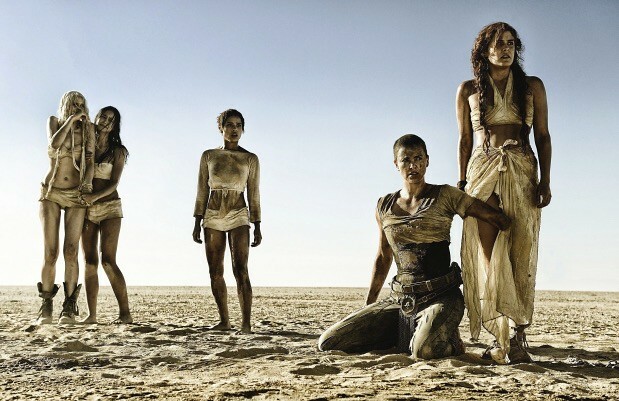 And so we get to how I felt motherhood was handled in Fury Road, or maybe I should say how I felt the concept was expanded upon, refreshingly so. In Fury Road, motherhood is actually a huge theme. But being a mother isn’t just about having kids. In fact, despite the strong theme of motherhood, we never see a woman holding a baby, talking about babies, or even be excited about having a baby. We see a despot's breeder wives who were raped and forced into motherhood as possessions. We see women, the Many Mothers, who no longer have a tribe, but continue to look for fertile ground to plant seeds. We see a woman extending a mother’s kindness to a lost soul, ultimately redeeming him. And we see Furiosa, not a wife, and not a breeder, who seeks redemption through the liberation of the slave wives, and the desire to bring them to a better life in her war rig (womb?). If being a mother is making sacrifices, making tough decisions, and fighting for survival (at least this is what all those facebook things in my feed tell me), then Furiosa is a mother too. Whether she had, has, or even wants children is not what defines her (again, looking at you Joss Whedon), rather actions and strong storytelling do. Simply having children isn’t what makes any of these women mothers, their actions define who they are, and for me, defined a broader spectrum of motherhood. Before I go I want to bring up one more point. Not only is Furiosa a woman hero, she is a disabled woman. If you haven't already, read about this woman's movie going experience and get your tissues ready. She talks about this much better than I could. All types of diversity and representation matter.